If you are looking for trusted and respected Access Control in Bolton, ON you can’t go wrong with our access control service. We have been providing beneficial locksmith smith services for our friends and neighbors in the Bolton community for a long time. We provide the best commercial and residential service in the city. Our locksmiths are specifically trained to install and repair all types of systems for the home or business. At Bolton Locksmith we provide professional access control system installation at very affordable rates. We provide a variety of options that are specifically geared for residential and commercial purposes. Lock and key systems are dependable, but do not provide the control options needed for all access scenarios. Keyless entry, fingerprint and magnetic card systems provide additional benefits a typical key cannot. Why Use An Access Control System? Keyless entry options are becoming more popular in the home. You don’t worry about digging around in your pocket or purse for a key. By entering a specific code you can open your door fast and it makes entry much harder for those that want to enter without permission. In the business all of these access control options can be very effective. Fingerprint technology is fast growing in popularity. Since no two fingerprints are the same entry is definitely reduced to the select individual. 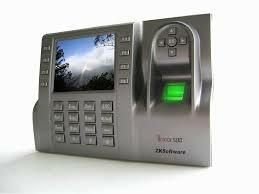 The access control system offers numerous benefits for the business owner. Not only can they provide access for employees on a need to know basis, but they can also allow you to monitor who comes and who goes from sensitive locations. Our Locksmith Bolton team of experts will also provide reliable access control repair anytime day or night for our residential and commercial customers. We will respond quickly to provide the professional results you deserve. The ability to control access to specific areas in your business cannot be underestimated. Explore the options we provide today and take your security to an entirely different level of excellence.